In 2014, the Alliance for a Healthier Generation, American Beverage Association (ABA) and the nation’s top beverage companies announced a push to encourage greater interest in and access to lower and no-calorie beverage options through their Balance Calories Initiative (BCI). The Balance Calories Initiative is the single-largest voluntary effort by an industry to help fight obesity. The goal? To reduce beverage calories consumed per person nationally by 20 percent by 2025. Coca-Cola, along with PepsiCo and Dr Pepper Snapple Group, are working alongside the ABA and the Alliance for a Healthier Generation to make this happen. Coca-Cola is engaging in efforts to educate the consumer and work with stores to diversify product offerings and offer more choices for the them. As a partner in this initiative, The Coca-Cola Company is continuing to spread awareness of the commitment in local communities. "We are early in our journey, but the Balance Calories Initiative is an important opportunity for beverage companies to work together to help people reduce the calories and the sugar they consume from our beverages and offer even more choices,” explained Caren Pasquale Seckler, Vice President of Social Commitment with Coca-Cola North America. In cities around the nation, Coca-Cola is using its marketing and distribution to increase and sustain consumer interest in a wider array of options. This includes access to more beverages like Unsweetened Gold Peak Tea and Powerade ZERO, but also more variety of packaging on shelves—such as mini cans for popular sparkling beverages. An important step towards achieving this goal is an increased focus on providing clear facts and nutritional information on the company’s beverages. As Coca-Cola and the industry see it, educating the consumer is step one if they want to encourage people to drink reduced calorie beverages. To that end, Coca-Cola is providing calorie counts and promoting calorie awareness on point-of sale materials it controls and at places where Coca-Cola products are sold. 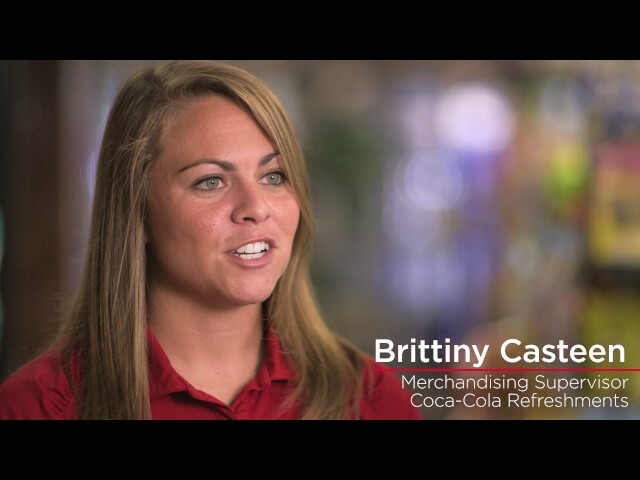 The BCI team under Coca-Cola is offering samples and conducting events outside of stores to help spread awareness of different products. The company has a wide variety of low and no-calorie products, so the sampling lineup is quite diversified. The team on the ground is able to introduce more options to consumers, many of whom may not be aware of lower-calorie alternatives to their favorite drink choices.